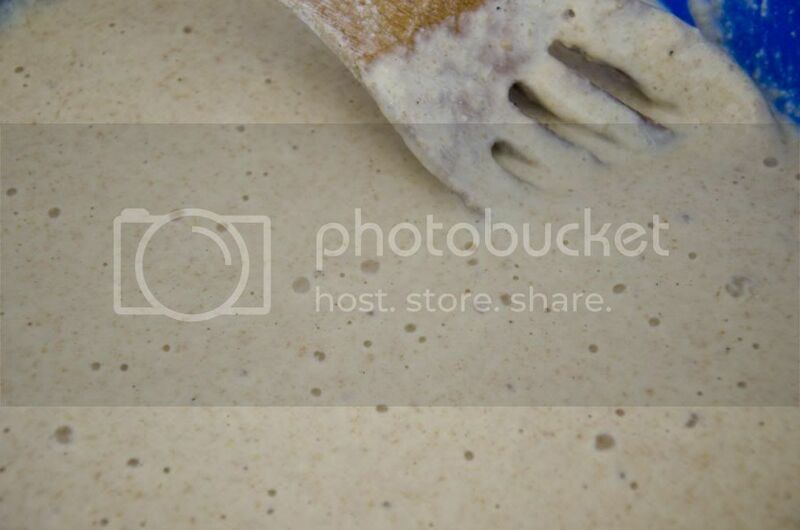 Last week, I posted a recipe on how to begin your own sourdough starter. I know at least a couple of you have given it a go and at least one of you has had starter that is exploding and is begging to be used! So here it goes – a basic recipe for Sourdough Pancakes! 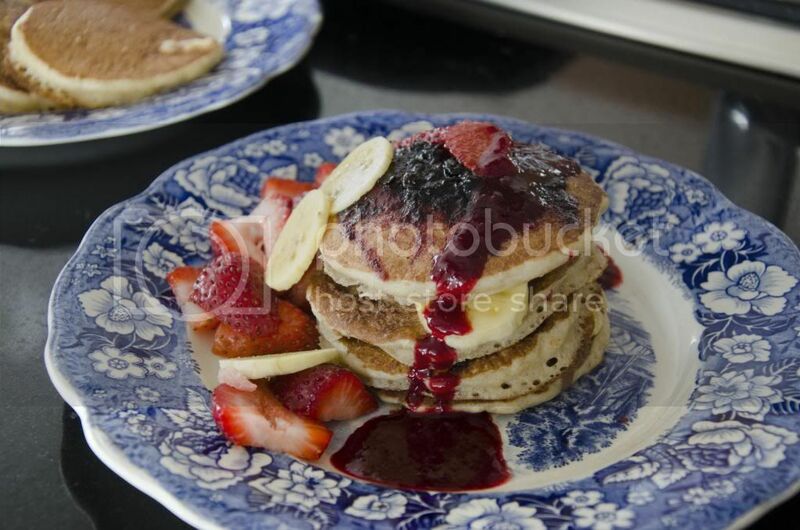 The final product – sourdough pancakes layered with Nutella and blueberry jam, served with bananas and strawberries, topped with blackberry syrup. 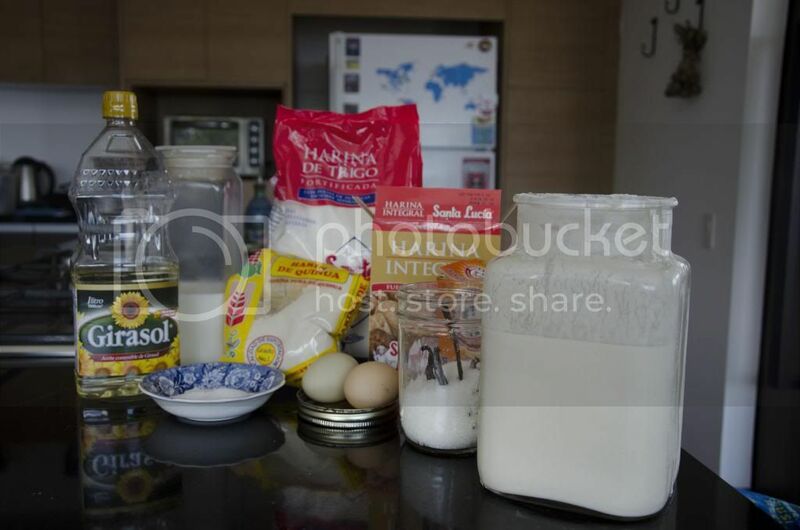 The ingredients – Sourdough starter, sugar, eggs, different flours, milk, oil, and salt. 1 cup of Sourdough Starter; runny like thick cream. Mix these ingredients together in a glass, ceramic, or plastic bowl. Sourdough and metal do not go together! For the best sourdough flavor and rising ability, allow this mixture to rest on the counter for at least a couple of hours. If we plan on Sunday morning pancakes, we make this batter the night before. Remember after removing 1 cup of sourdough starter, you will need to feed the beast! 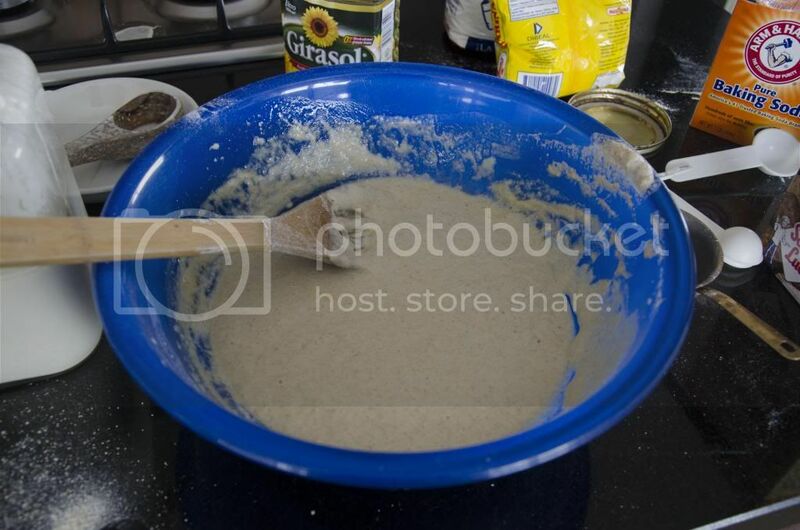 I usually add 1 cup of flour and 1 cup of water to the starter pot. That means I end up making more sourdough that I removed (and means I have starter to share with friends and neighbors). I also keep my starter in the refrigerator as it is growing too fast for me to use it when I keep it on the counter. One cup of creamy sourdough starter. The batter with only sourdough, flour, and milk. Notice it is a little on the thick side. You’re going to add more liquid later. 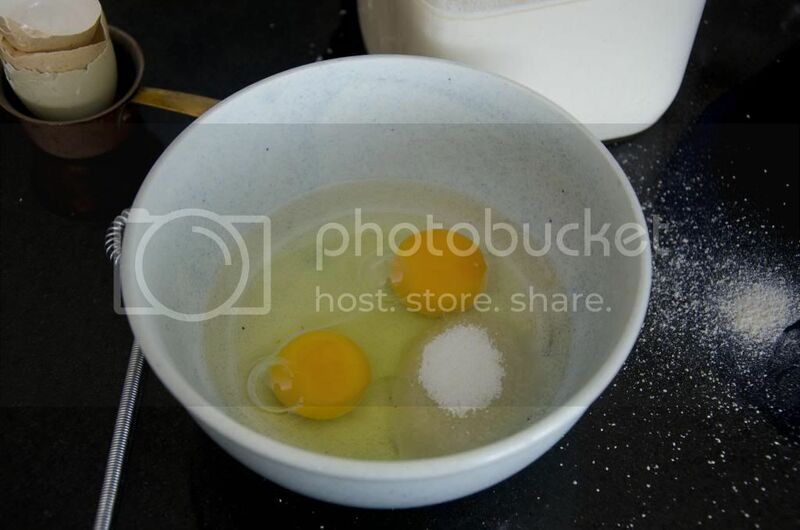 Eggs, oil, and sugar. Beat together before adding to the batter. 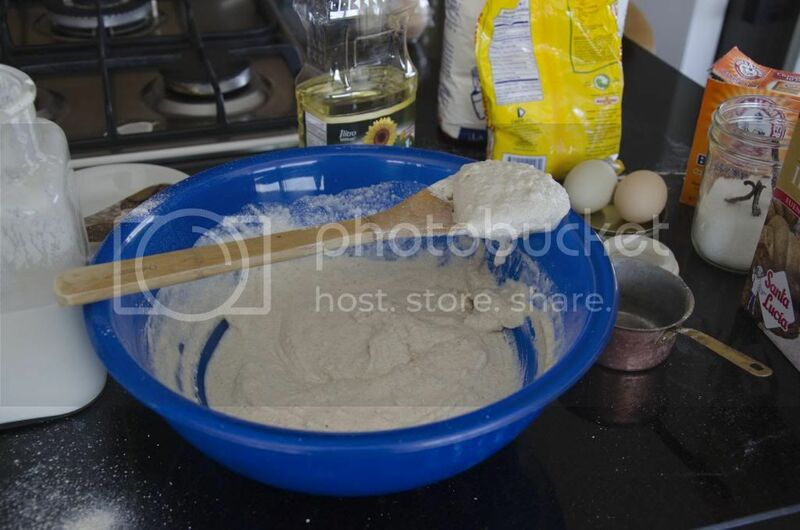 Just before you plan on using your batter, you are going to add the other ingredients. Beat these together. If you choose to use melted butter, make sure it is cooled first otherwise you’ll end up precooking your egg! Stir into the batter. This will begin to loosen up the thickness. If your batter still seems super thick, add more hot water in the next step. The batter after adding the eggs, oil, and sugar. Then your final ingredient will be a little bit of baking soda mixed in with some hot water. Take a 1/4 cup of hot water, already measured in a cup that is larger than you need and add 1/2 tsp of baking soda. This mixture may fizz! Stir this into your bowl of batter and then watch the batter change consistency. You will see many bubbles begin to form as a chemical reaction occurs between the base (the baking soda) and the acid (the sourdough). According to Ruth Allman, the addition of the baking soda is what sweetens the batter; sugar actually serves to help the batter brown evenly. Too much sugar can turn sourdough rubbery. 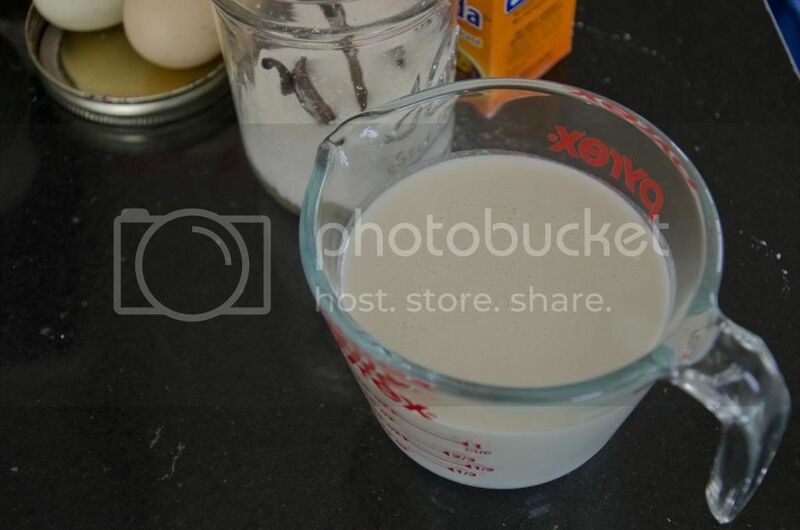 The batter after adding the baking soda. Work out a system that fits your grill. Not all pancakes need to be flipped at the same time. We use a cast iron griddle that fits on our gas stove. But you can use any griddle that you have. Just figure out a method for adding new pancakes and flipping the ones already on the grill. 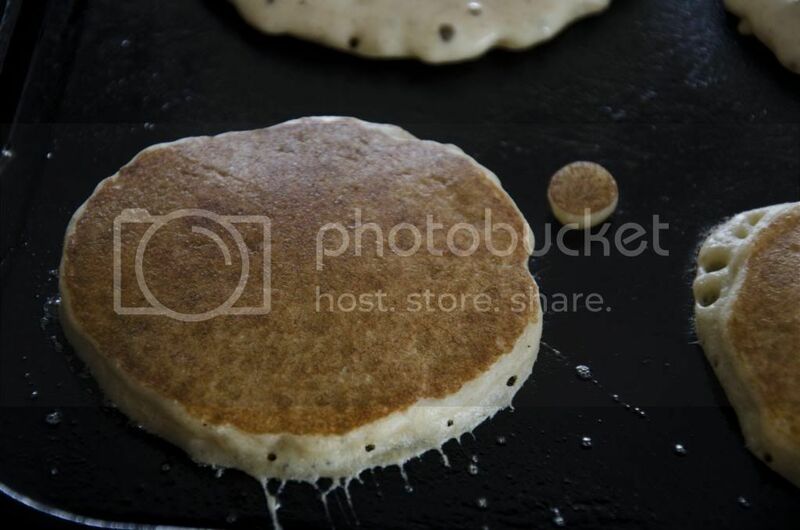 For example, we use a ladle that pours a scant 1/4 cup at a time, a perfect size pancake. Our griddle is hotter in the middle so we lay two pancakes in the center. 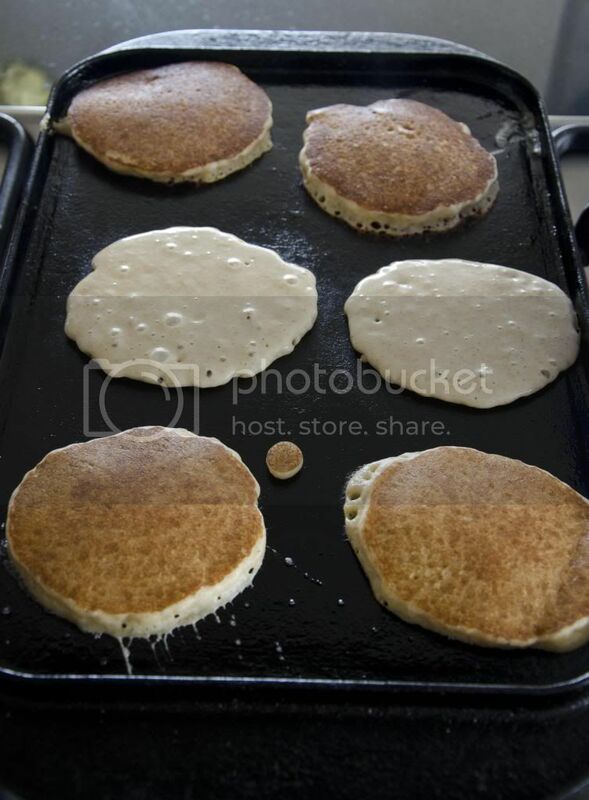 When they are showing plenty of air bubbles and the edges look slightly cooked, we flip these pancakes to the back side to finish cooking on a slightly cooler part of the griddle. Then we lay two new pancakes in the center. Those get flipped to the front portion of the grill. Two new pancakes go to the center and the two on the back are ready for eating! Sourdough is best hot off the griddle though we have finished an entire batch before serving. Just keep them warm in a low oven. You could also break out your waffle iron instead. This batter needs no changes, just add the appropriate ladleful to a hot waffle iron and cook as normal. You should get a light, crispy crust with a delicate, airy center. These are best eaten immediately out of the waffle iron. I would wait as time can soften the crunchy outer crust. If you must wait, then place the waffles on a cooling rack that is on a cookie sheet and then in a warm oven. You don’t want to stack them as the steam will soften each one. 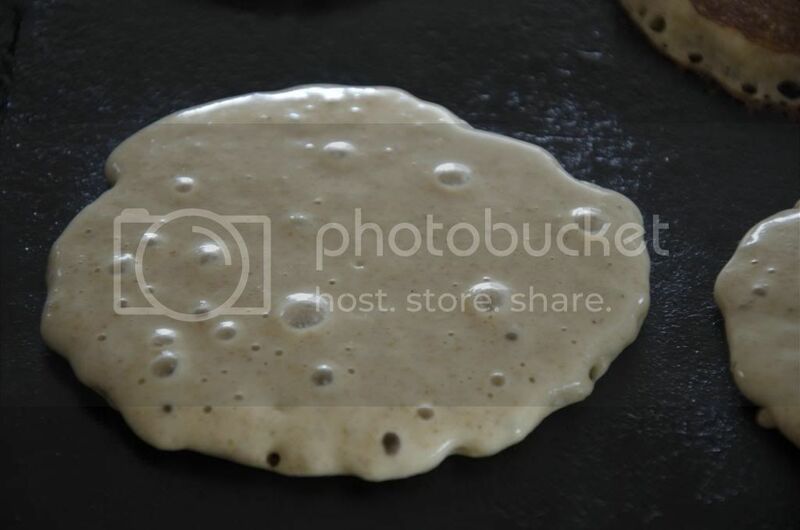 Notice all the bubbles of air in the center of the pancake – this one is ready to flip. A perfectly browned sourdough pancake. I used to get sourdough pancakes in Jackson Hole, Wyoming when I visited. Yummy! Never had the pleasure of trying Wyoming sourdough. It would be sort of fun to have a sourdough tasting trip and see if we could taste the differences from state to state. I’ll have to add that to my to-do list!